​There are more than 40,000 Donnelly College alumni in Kansas City and beyond who may not be where they are today if they had not found Donnelly College. Donnelly helped transform their lives, positively impacting their families and their communities. ​Through the campus master plan, this campaign and in partnership with you, Donnelly will provide the life-changing benefits of higher education, impacting generations of families and our greater Kansas City community as a whole. 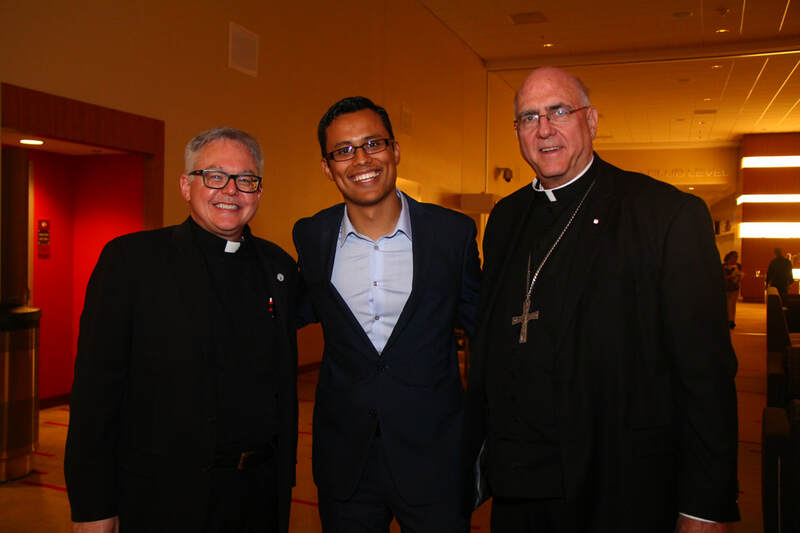 From left: Monsignor Stuart Swetland, president of Donnelly College, Ruben Bueno '13 and Archbishop Joesph F. Nauman at SHINE, Donnelly's annual celebration for our students and mission. Learn more about SHINE. Anita Dixon, '84, member of the Donnelly College Alumni Hall of Fame. Visit the Donnelly College Hall of Fame to read about all our inductees. With 78 percent of our student body being first-generation college students, Donnelly specializing in creating paths to and through college that change lives by making careers and opportunity attainable. Donnelly’s commitment to student success allows our students to focus on the bigger picture -- transformation. Donnelly students strive to better themselves and their communities through education. Donnelly College Event Center, part of Phase I of the Campus Master Plan. Learn more about all three phases here. More than half of Donnelly's students live in Wyandotte County, one of the nation's most diverse counties. 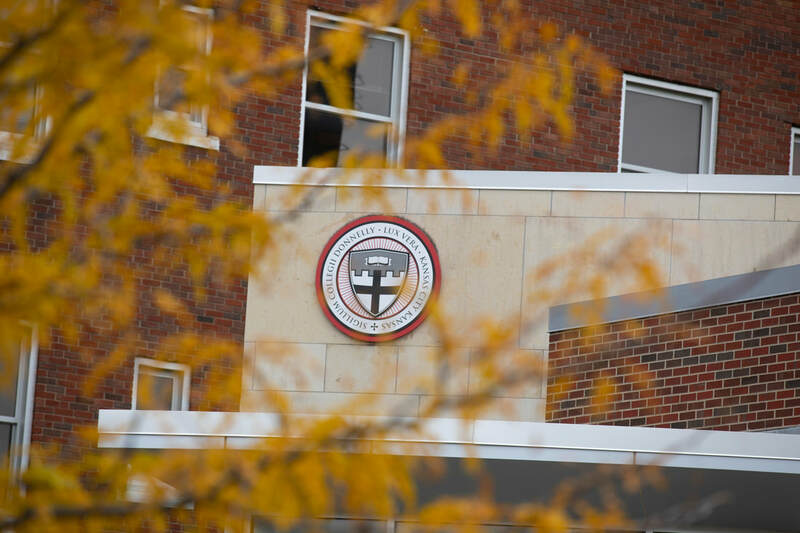 Federally designated as both a minority-serving and Hispanic-serving instution, Donnelly was recoginzed in 2017 and 2018 as the Most Diverse College in the Midwest but U.S. News & World Report. 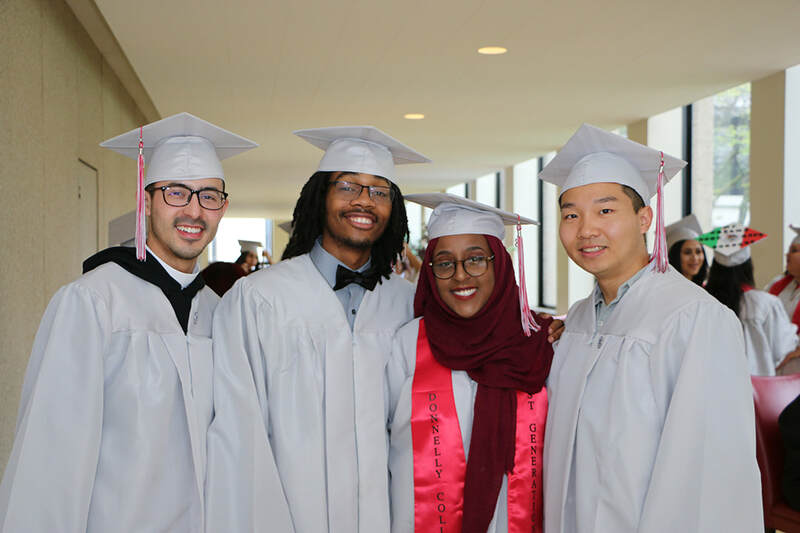 As one of only two bachelor degree-granting institutions in Wyandotte County, Donnelly bring opportunity to the heart of the urban core, and positive change through an educated workforce and a new generation of budding entrepreneurs. For Donnelly to meet its vision to become the most transformative Catholic College in the country, we must have facilities suited to the needs of today’s students. 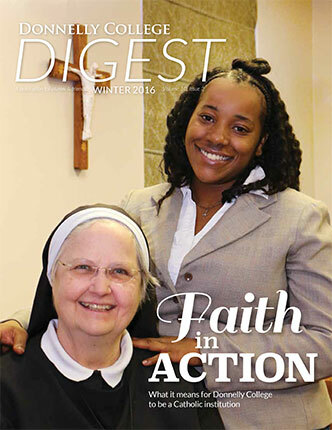 As a board member and Chair of the Transformations Campaign, Dr. John Romito, '66 explained, "To remain competitive in today's higher education market, an excellent learning environment is just as important as excellent instruction,"
From left: Sister Marie Kathleen D., professor at Donnelly College and Niesha King '17 on the cover of the Winter 2016 issue of the Donnelly Digest. Read this issue of the Donnelly Digest here.. The lives of our students and their families are forever changed as they walk across the commencement stage to receive a college diploma. But to take a student from the admissions office to the commencement stage takes more than a singular focus on academics. The Catholic tradition of higher education that is present at Donnelly College offers a whole person-focused approach and a values-oriented environment that serves students’ minds, bodies, hearts and spirits. Donnelly is skilled at providing a safe space for students to consider their faith in and out of the classroom, to explore life’s greater purpose, to dive deep into controversial issues facing society today and to think about actions of right and wrong. Doing this in a supportive and inclusive environment prepares students to become independent thinkers and leaders, able to succeed in any field. “I’m not a very religious person, but the first thing that was super impactful was that Sister opened her class with prayer. We’re in the heart of Wyandotte, and there’s just so much stuff going on, trying to pull me away from going to school. Being able to sit in a classroom feels safe. Prayer is being said. It just really makes me feel at home. One of Donnelly’s mottos is ‘become the best version of yourself’ and that is so valuable and magnificent to me. It’s just a really great platform for me to actually express myself and be the best version that I can become."